Turnips, hammers & the square - why workplace occupations have faded. What if we build it and they don’t come? That was the experience of the left during the crisis - decades had been spent building organisations and a model of how crisis would create revolution, but when the crisis arrived the left discovered that the masses weren’t convinced. The expected pattern of crisis leading to small strikes and protests, then to mass strikes and riots and then perhaps to general strike and revolution didn’t flow as expected. Under that theory the radical left would at first be marginal but then as conditions drove class militancy to new heights, the workers disappointed by reformist politicians and union leaders, would move quickly to swell its ranks. In 2008 and 2009 that was the expectation of the revolutionary left organisations across Europe and North America, but that cycle of growth never materialised. In 2011 revolts did break out, but not in the manner expected and so the left could only spectate and criticise. 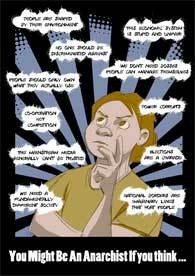 Beyond that the period of struggle from 2008-2014 suggests that there is less strength in building struggles around broad ‘bread & butter’ issues than we imagined and a suggestion that diversity proved more useful in sustaining progressive struggle. In mid September 2007 I was on board a Greyhound from Toronto to Ottawa, Ontario. This was near the start of a speaking tour that was to run across North America until the following May and to make use of the long journeys I had subscribed to a number of podcasts. One of these was ‘Behind the News’ and I remember as we stopped for a break in some town on the shore of Lake Ontario that Doug Henwood opened by saying that the emerging sub prime mortgage scandal was starting to look like it might be the start of a genuine crisis. I was used to left parties seeing and even hoping for crisis of capitalism at every turn but Doug tended to be quite level headed in his economic analysis. Over the next seven months as I travelled North America that crisis became more and more visible. When I arrived in Miami in April the construction cranes on the horizon were still and the skyline dominated by the stumps of half constructed condos. A year to the day after I heard that podcast, Lehman Brothers filed for Bankruptcy. The dominoes of global finance began to topple and the stock market crashed with them. The left started to get excited; believing that after years of waiting its time had come. In London the newly formed Liberty & Solidarity group went so far as to call for protest on October 10th under the ill considered slogan ‘Collapse Faster’. In Ireland the government citing fear that the banking system would collapse guaranteed all the liabilities of the banks. Over the following two years the full scope of the enormous costs to be imposed on people in Ireland as a result of that decision unrolled. On November 2010 we saw the EU-IMF ‘bailout’ as it became impossible for the Irish state to borrow on the international bond markets. At the time of writing in 2014 we might be seeing the beginning of the end of the crisis, or we may just be at the peak before another crash. But no one could deny that the years 2007-14 comprised a deep and thorough global economic crisis of the type Orthodox Marxists dreamed of. These first three years were years when the left imagined its moment was approaching. The long boom had heightened expectations of workers. Easy credit had improved living standards and now not only was this hope for the future taken away, but those gains were destroyed. Workers who appeared to have considerable wealth due to the value of their property saw this wealth vanish exposing large debts that they were not going to be able to pay back. Hundreds of thousands lost their jobs. Public sector workers pay was cut, pensions attacked. They were forced to work extra-unpaid hours and with no pay increases for at least six years. Young people who had spent their teenage years expecting to be able to easily get a well-paid job were forced to emigrate in huge numbers. There was resistance. The media myth that ‘Irish people don’t protest’ does not measure up to reality. 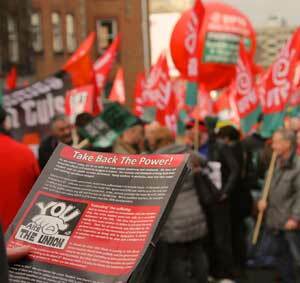 The Nov 24th 2009 public sector strike saw a quarter of a million workers strike. 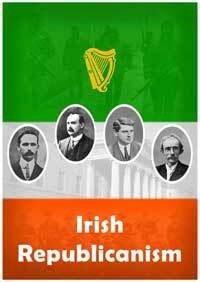 The three Irish Congress of Trade Union (ICTU) marches saw 100,000 or so demonstrate each time. Hundreds of thousands refused to pay the household tax. 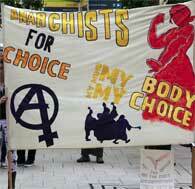 And apart from these large demonstrations hundreds if not thousands of smaller protests took place. My memory of much of that period is that every week there was some sort of significant demonstration, which attracted hundreds or even thousands. There was resistance across Europe. From Ireland this perhaps looked militant, in particular the general strikes that took place in Spain and Greece. But these so called general strikes, which were in reality very limited one-day strikes and just represented a somewhat different tradition of protest. 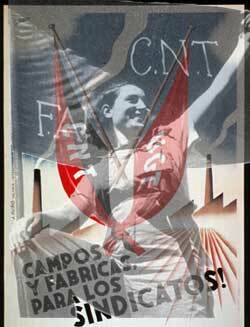 It can be argued that in Spain the character of the general strikes changed somewhat after the emergence of the movement of the squares but before 2010 they were not the openings of a revolutionary wave as imagined. Before 2010 particularly in Ireland but also from Portugal to Spain to Greece these protests did not instill a sense of hope, a sense that another world was possible. Instead people participated and then went home, convinced that although they had made their ‘voices heard’ that nothing would change. Back in Ireland the ICTU marches although huge were amongst the most demoralising protests I’d ever taken part in, the spirit of defeat walked down the quays with us. This meant the strikes and marches remained under the control of the same trade union leaderships who had avoided meaningful struggle for years. The left spent those years arguing as to whether a ‘rank and file’ or ‘broad left’ strategy to overcome or bypass that leadership was better but despite the depth of the crisis and the clearly tokenistic nature of the resistance promoted by the union leaderships they stayed in control. Before 2010 this happened everywhere, or at least everywhere in Europe and North America. It’s important to recognise this because in Ireland (and elsewhere) the revolutionary left has failed to recognise that they had come up against more than local conditions. What happened, or rather what didn’t happen was not down to bad organisation or poor communication skills, still less the wrong slogans. The left has failed to recognise that something fundamental failed to happen. That is that the masses had not become radicalised in the way that they expected for reasons other than bad practice. Rather than understanding that lessons the left went on the hunt for scapegoats. And in each local context there will always be plenty of examples of bad implementation. Whether this is at the organisational level of things promised not being delivered or at the level of poisonous sectarianism visibly putting people off. But when failure happens everywhere the cause of failure is unlikely to be in local problems. This refusal to recognise that there is a general problem in our model for revolution was not helped when the left made small breakthroughs in the one area where it mattered least. That is to say they managed to get some more people elected to official office at the local and national level. The contradiction here was a deep one, on the one hand it appeared the left had convinced many people that their ideas were the best and thus deserved their precious vote. On the other when the same left parties called a demonstration the numbers they mobilised were tiny - in the Dublin context around 1,500 (on a good day) against the 100,000 ICTU pulled out. Electoral success only demonstrated the powerlessness of those left radicals elected. Court jesters that proved the wisdom of the king and his willingness to hear all complaints - most often in Ireland via the Vincent Brown TV panel show. Then in 2010 something happened. Europe is bordered by the semi-Europe zone of cheap labour, one where the much vaunted ‘rule of law’ and procedures of parliamentary democracy rhetorically loved by EU politicians are openly secondary considerations to maintaining stability for the rule of capital. Adventurous tourists from the EU have long taken cheap package holidays in Morocco, Tunisia, Turkey & Egypt. But fences, walls & border guards make it hard for the populations of those countries to travel to Europe - over 16,000 have died trying to do so. Dictatorship & border controls are what maintained these countries as cheap labour zones for the EU. Domestically through wages that were a fraction of those in Europe and externally through providing insecure and often undocumented low wage labour in Europe. In 2010, after the revolt of the PIIGS failed to materialise, it was this zone that started to light up with resistance. Low wages and lack of food security meant that the equivalent drops in income and employment faced by European workers translated into something life threatening. So although the costs of rebellions were much higher, thousands were killed, the need to rebel was stronger still. Look at a map, look at the edge of Europe, and follow the revolts as you move from West to East starting with Morocco in North Africa, passing through Tunisia, Libya, Egypt, Syria, Turkey & the current complexity of Ukraine. The traditional sites of revolt the left looks to - the workplace, the unions - had it is true a significance in some of these revolts but what characterised them was something else. Something that seems quite new and is still not understood. What they have in common is that the people seized not the workplaces but the city. Or more specifically the squares that lay at the heart of the cities. And while the marches and token strikes in Europe had felt like defeats, even at the moment of action, these seizures of the squares felt like victories. In several cases they turned into victories of a limited kind as what looked like entrenched forms of dictatorial rule crumbled in front of a population that had lost its fear and was in the streets. Successful enough that quickly these methods were adopted in the very countries back in the EU where the strikes and protests were felt to have failed and as interestingly began to interact with the more traditional forms of protest. A particular example of this being the September 2012 protests in the Spanish state when tens of thousands mobilised around the demand for a referendum on austerity. In the autumn of 2011 this went global when the square occupation returned to the place the crisis had sprung from, Wall St. Five years after the crisis, five years when the revolutionary left had failed to inspire, there was that sudden moment when it felt like every city in the world had at its core a determined group implementing a shared program of resistance. Almost three years afterwards it’s easy to be cynical about Occupy, to focus in on its many problems, but at that moment, at the start of November 2011 it felt euphoric. Is ‘Bread & Butter’ the secret sauce? One reaction of much of the left to its own failure to be relevant has been a sharp turn towards lowest common denominator economism. That is a retreat to seeking to only organise around lowest common denominator economic demands that in theory almost all workers should support. Often this is accompanied by hostility towards any suggestion that complexity should be looked at. Witness the amount of articles and blog posts by mainstream radical left & feminist figures attacking what they see as ‘intersectionality’ over the last six months. Elsewhere I’ve characterised this tendency under the label of the Nostalgic Left. What I want to emphasize in this piece though is that when you look at the events of 2007-2014 it was the focus on economism that failed to inspire people. Economism is the idea that working class movements are best built by focusing on the sort of broad economic issues that all workers can identify with. These are sometimes called ‘bread & butter’ issues, underlining the point that they are those issues that put food on the table. The other side of economism is downplaying, ignoring or attacking any issue that might be seen as dividing the working class. Perhaps the clearest illustration is found in the 1970s when some economistic left groups faced with the growing demand for LGBTQ rights instead choose to define homosexuality as a bourgeois deviation that would be swept away, come the revolution. That is an extreme example but the common traditional approach of the left rubbishes any interest in talking about oppression within movements as coming from middle class academics. A crisis is a great time to test out economism. Pretty much every aspect of workers wages and living conditions are attacked providing plenty of ‘bread & butter’ issues to try and build class unity around. The left tried to do that and failed, while indeed workers were mobilised the mobilisation although broad also proved to be shallow and easley limited by social democratic parties . The strikes and demonstrations about ‘bread & butter’ issues around pay cuts and tax hikes failed to build, never mind sustain a movement of resistance. In Ireland this proved true of the public sector strike and the ICTU marches. The height of success of the left was in the voting down of the Croke Park II deal by public sector workers yet this was only to accept the almost as noxious Haddington road agreement. Despite displaying an initial if nervous willingness to fight on the 24th November strike we ended up swallowing a massive erosion of our pay and conditions, including a huge pay cut followed by a pay freeze that has now lasted 7 years. The added acceptability of Haddington road was largely because it sacrificed future public sector workers to preserve some conditions for existing workers. With the left quietly accepting that resistance in the unions was not going to be significant it switched to the other traditional bread & butter battleground of community struggle around local taxation. We’d won a fight around this in the 1990’s but lost another in 2003. The government was introducing a tax on home ownership. As with the union struggle the initial period of the Household Tax appeared promising with mass meetings of hundreds of people in some communities and a massive 50% of households not registering for the tax. But that broad resistance again proved shallow and the government defeated the movement by stepping up the costs of defiance and the mass movement spluttered out without a significant fight. Globally in the 1% v 99% language of Occupy there is an implicit economism but Occupy as it was expressed was more about a sense of unfairness & corruption with the way things are. What did pull people out were demands that were not simply economic but at one or more remove. Rising food prices and youth unemployment were the backdrop to the North African revolts. But the actual expressions were demands for dignity, real democracy, and an end to corruption & cronyism. What kept people out once those movements had started was discovering each other’s comradeship through a common resistance on the barricades to state repression. It’s a discussion for another day but as we have just seen with the protests in Ukraine that unity through resistance to the state need not result in a turn to the left, in particular if the left was too weak or abstained from the struggle. At this moment in time it appears that the far right made the gains through its willingness to engaged in militaristic confrontation with state forces. In Libya, Syria and to some significant extent Egypt Islamists made gains on a similar basis. In Gezi on the other hand the movement was defined around being open to LGBTQ, Feminist, and other movements of marginalised peoples and this gave the overall movement a character much more resistant to the influence of the right, in this case in the form of Turkish nationalists. In Gezi it appears that the strength came not from having some broad unifying bread & butter issue but rather from the diversity of the movement in the park. It’s easy to bemoan this impulse to occupy the Square rather than occupy the workplace. 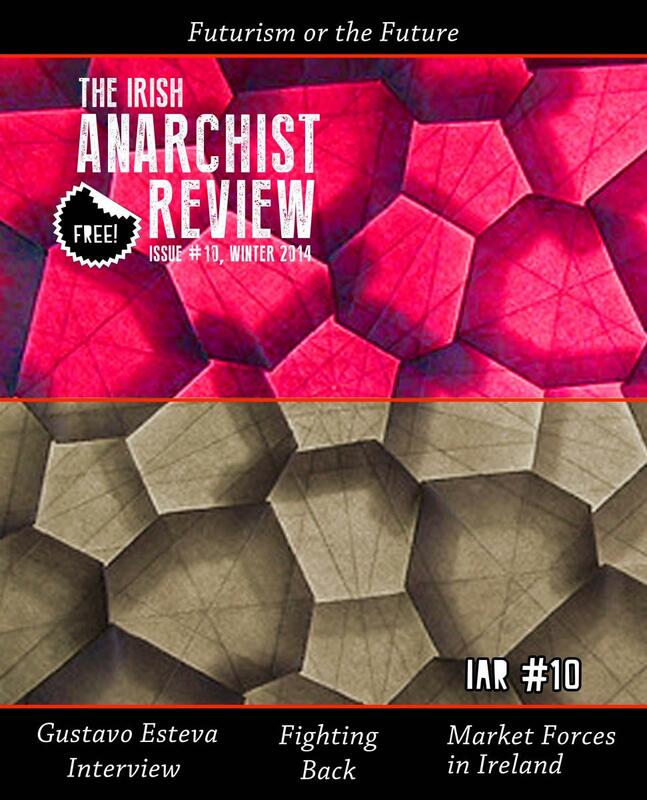 I’ve written about what some of the problems are in An Anarchist Critique of Horizontalism (In IAR #9). The chief problem is that there is no power in the Square to build a new society, only to demand a change in those running the existing one. In Egypt three changes were won in two years, Mubarak to the Military, the military to the Brotherhood and then the Brotherhood to the Military. It looks quite possible that this cycle may lead back to a ‘Mubarak’ of a modified form although those at the heart of the revolution hope they have at least constructed a culture of resistance. This is the pattern of many of the revolts; the occupation of the Square could manufacture a crisis that would bring a faction of the ruling class, often the army, to introduce chance. But it could not create a society ran from the Squares. Until recently it was also the case that taking over your workplace was an obvious act of rebellion for workers. Even in 1919 in Ireland, which lacked an ideological left of any size, the national struggle saw dozens of workplaces taken over by their workers and some 80 soviets declared. Workplace occupations push movements to the left in a way Square occupations don’t because repression will come not just from the state but also from the owner. They create a strong class unity but one which may also be a unity against a left party in power which is why power seeking leftists tend to distrust them. It’s not that there were no workplace occupations in the crisis. In Ireland there were many but all of them on the basis not of continuing production but of demanding fair redundancy payments. Continuing production could be part of building the new world in the shell of the old, demanding redundancy is just demanding that capital behave in a fair manner. That is a legitimate demand but one entirely contained within the system. There were workplace seizures that were about continuing production in the Argentine crisis of 2001. These were in cases where the owner had abandoned factories they could no longer extract sufficient profits from. Such workplaces are even referred to as ‘ábricas recuperadas translation - reclaimed/recovered factories’. What changed between the workplace occupations of 1910’s Ireland or Russia and the 2010’s? 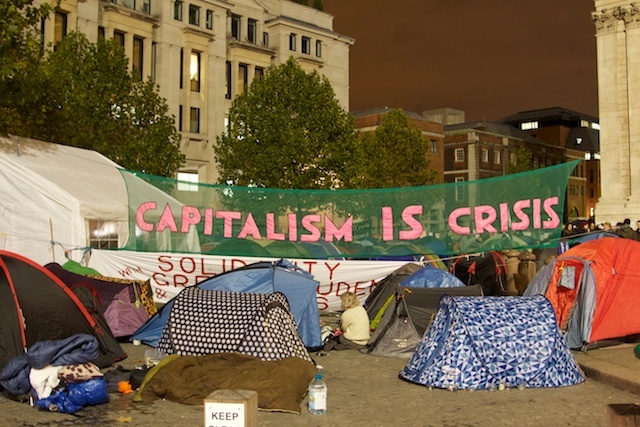 Why did it appear to make more sense to radicals to set up tents on cold, hard city streets & squares as winter approached? It wasn’t because the left had forgotten to advocate such occupations; all the radical left organisations did so and enthusiastically reported on and participated in the limited ‘pay our redundancy’ one that did happen. Yet even WSM failed to consider street occupations seriously as they spread from North Africa to Europe. The summer before Occupy a visiting Israeli anarchist came to one of our regular Dublin meetings to advocate that we should camp in the streets as was happening in Tel Aviv. We pretty much just looked at him and moved on to our serious business - quite possibly discussing the need to propagandise more for workplace occupations. Why despite the left advocating workplace occupations did they not materialise? The reason is perhaps in what and how we, as workers, produce. When many workers produced goods that had an obvious direct use then not only was continuing to produce those goods for our own use obvious there were also other workplaces and farms nearby with which we could imagine exchanging goods or being in mutual aid relations with. Production and economies were very much more local. In Europe of that period even raw materials like iron or coal frequently came from somewhere close enough to imagine that they could still be sourced. If you were producing hammers it was easy to imagine a relationship with the furniture factory down the road and the farmers on the edge of town as well as the woodcutters and miners over the mountains. The sort of workplaces seized in Argentina in 2001 also illustrates this. They were involved in the production of simple goods with obvious exchange potential like textiles (Brukman), ceramics (Zanon/FaSinPat) or hotel services (Bauen). Some exchange between these was possible, the tile floor of the new cafe at Hotel Bauen came from FaSinPat. There is a tradition of factory occupations in Argentina and there were workers in these places that had an ideological attachment to such action. But the reason the occupations happened was because they were what made the most sense to the mass of the workforce that were otherwise facing unemployment. Globalisation means that it’s now common for the various components of production to travel enormous distances - even something as basic as wood is seldom locally sourced but instead shipped over great distances. Workers in distant lands with whom we have no connection and often no common language produce the raw materials and components of what we produce. A computer involves hundreds of components assembled from across the globe in thousands of widely scattered workplaces with no direct connection to each other. And these individual components often have no use outside of that complex production chain. The same is true of a passenger jet. Even interchangeable components in this process like RAM chips are of little use on their own, even for exchange purposes. The technological revolution also means very much fewer of us are involved in the production of goods with a recognisable use value or even in the production of physical goods at all. If you work in a call center what exactly are you producing, in particular if you are selling or supporting some software product produced by programmers on the other side of the planet? The material conditions of much of the world’s working class are now much more complex than they were even in Western Europe in the 1930s. A working class family in Barcelona at that time did not have a large range of material goods and what they did have were mostly locally sourced. Today workers expect to have phones, TV’s cars, washing machines etc. as basic essential goods. But we know that many of these are not produced in the factory down the road or over the mountain. In a period of upheaval today the benefit of seizing one’s workplace is nothing like as obvious as it was in the 1930’s. A barista looking at the computer programmers down the street and the till operators in the electronics shop across the road can’t see much potential for keeping food on the table through linking up with them. This isn’t to say mutual aid is now impossible; the global possibility is stronger than ever. The problem is that now it is much harder to see and understand that possibility before an ideological conversion to the idea. Local implementation is in almost all cases not possible without a radical restructuring of industry and agriculture in that region. Something that is impossible in the short term. This is not an argument for abandoning either workplace organising or the idea of a society of self managed workplaces under a communist system of exchange. Rather it’s intended, as the start of a discussion as to why the form we see rebellion in has shifted, despite the attempts of the left to encourage the previous form. And how with these new movements of rebellion we can inject the still essential idea of seizing workplaces as being a literal requirement of building the new society. That question is complicated by the changing nature of work. Today as we are herded into telesales centers, fast food outlets, PR & HR sections it seems that a lot of work is of very limited value when it comes to sustaining life. Who would choose to self manage work that produces no value? The positive side to that being that this means very much less work for all without a reduction in living standards in a free society. The bottom line is to recognise that a lot of traditional left methodology was based around the idea that the working class would self-radicalise as a result of reaction to crisis by seizing workplaces. That was once a logical first step because it enabled those workers to continue to produce to live. Today it remains a logical goal but that is a very different thing, for many of us it only has a use in order to ‘produce to live’ at the level of continental and global economies. This demands a different approach to that taken by the left in the past; increasingly workplace occupations are what we need to argue for in ‘the square’ rather than something we expect to unfold due to their own inherent logic.